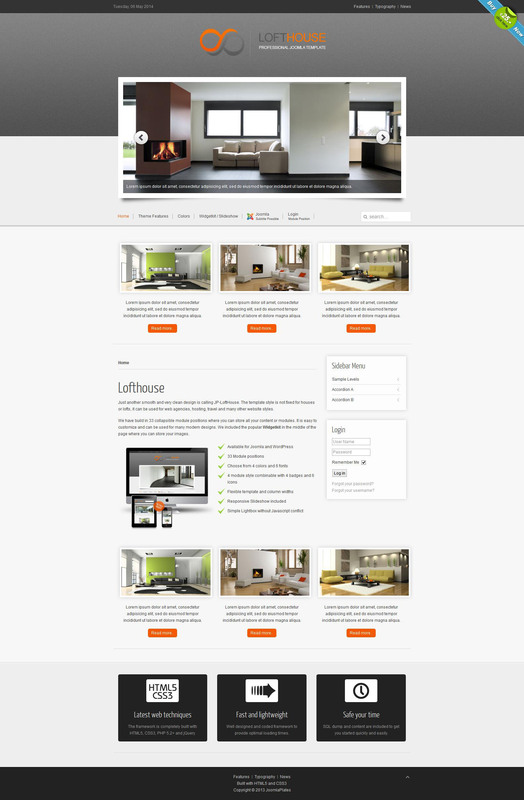 Joomlaplates-brilliant template designers offer your template JP Lofthouse , on furniture. It has a very easy control panel, which can edit all visible sections of the site. It also provides access to configuration items, such as editing and adding a background image on the site, the location of the speakers articles setting the background color. Using this pattern, you can set three styles, in addition it is possible to adjust the height and width of the news columns. If you work with this pattern, then the pages will be loaded quickly, there is a wide set of tools that will help demonstrate the product, it works with all browsers.